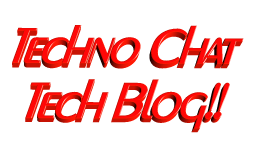 Autoconfigure Outlook | Techno Chat|Tech Blog!! Few simple steps to configure Outlook (2000/2003/2007) with MS Exchange on first logon: It’s really not so difficult to configure outlook on first logon, you just need a PRF(Microsoft Outlook profile file) file. To create PRF file you need to download Office 2003 Editions Resource Kit Tools from following location. Download And you need Office Source Setup files. After install open Microsoft Office 2003 Custom Installation Wizard, and select office source, on step 4 select step 17 like following window. Posted in Office, Windows. Tagged Auto configure Outlook, Auto setup of Outlook on a workstation, Autoconfigure Outlook, configure outlook with prf, Microsoft Outlook profile file, outlook configure, script for auto config outlook, setup Outlook to autoconfigure to users profile.